You Are Here: Home > Searching for High-Quality Used and New Cars and Trucks in Forest Park? Who doesn’t love the idea of driving away from a Jeep dealer or a Dodge dealer in a new car or even a pre-owned certified truck? Everyone loves the idea of jumping into a Jeep Cherokee or Jeep Compass and heading out on the highway. However, few people want to have to visit a used car dealer or a new car dealer to find the cars and trucks they want. That is why at Hawk Chrysler Dodge Jeep Ram, we have the best of both worlds. You can find both used and new cars and trucks on our lot and the service and repair shop to take care of them as well. When you are searching for a Jeep dealer, Dodge dealer, Chrysler dealer, Ram dealer or even an SUVs dealer that carries the vehicle you are looking for, you don’t want to have to go to some Jeep dealerships to find it. As a resident of Forest Park and the surrounding areas, you don’t have to. 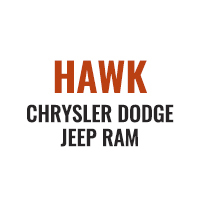 At Hawk Chrysler Dodge Jeep Ram, we have everything you will need in a car or truck at affordable prices, with service and repairs you can depend on. Now that you know exactly what our dealership has to offer the residents of Forest Park and the surrounding areas, take a look at the makes and models of used and new cars and trucks we have available. Are you ready to purchase a new or used vehicle? If so, Hawk Chrysler Dodge Jeep is the cars, trucks and SUVs dealer in Forest Park you can count on. We offer reliable vehicles at affordable prices to help get you on the road. When it comes to a reliable, reputable Chrysler dealer, you won’t find one better than our team. We offer a wide array of used and new Chrysler vehicles that will not only fit your needs, but also your budget. We are the go-to new and used car dealer in Forest Park to rely on for your next Chrysler. If you want some power under the hood, you can count on us to deliver. Our Dodge dealer offers the highest quality vehicles available today, with new and used models on the lot at all times. When it comes to Jeep dealers in Forest Park, we go above and beyond to deliver the new or used Jeep Cherokee or Jeep Compass you want. We aren’t just a new Jeep dealership; we are also a pre-owned car dealer, offering great terms on older models. As a well-known Ram dealer in Forest Park, you can find powerful, well-equipped and safe Ram models here. We are here to help you get into your favorite today. If you are looking for a quality used or new car dealer in Forest Park, look no further than our team at Hawk Chrysler Dodge Jeep. Contact us today to learn more.